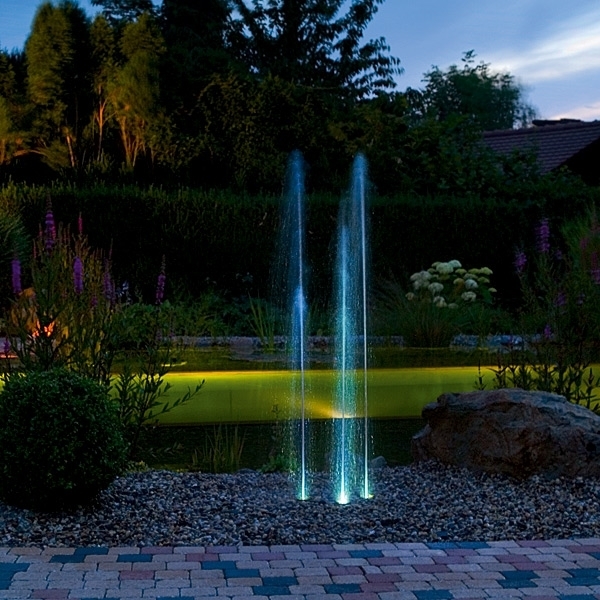 OASE Water Trio feature has three distinct fountains with varying jet heights (12-55 inches). Eco-friendly LED lighting provides a range of light intensities. 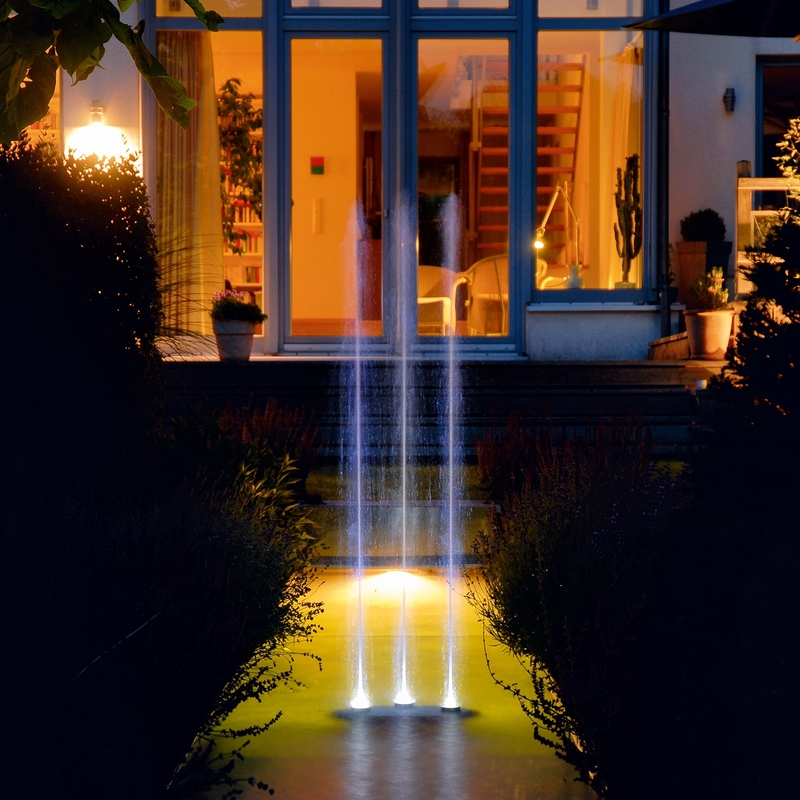 Customized settings programmed with a remote control promises convenience and ease of use. An energy-efficient 12-volt technology minimizes environmental impact. 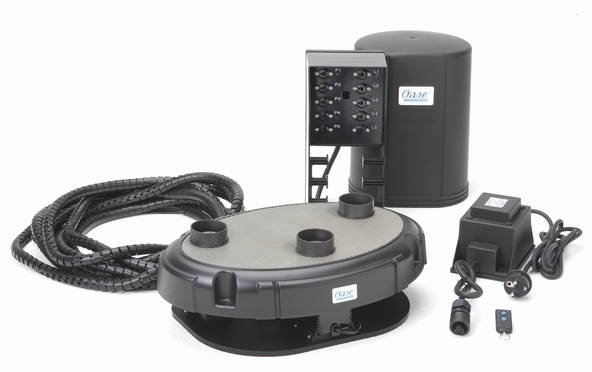 The Water Trio includes 3 pumps/nozzles, external control unit, transformer and cables. Dimensions: (L x W x H) 17" x 11" x 9.4"
12V Control Box Dimensions: (L x W x H) 8.5" x 7.1" x 12"
Power Unit Dimensions: (L x W x H) 6.3" x 3.9" x 3.9"